American Supply creates the materials luxury businesses need to unleash their creativity, and inspire love for their brand. We work passionately alongside our clients to conceive and create store windows and merchandising solutions that embody their identity. 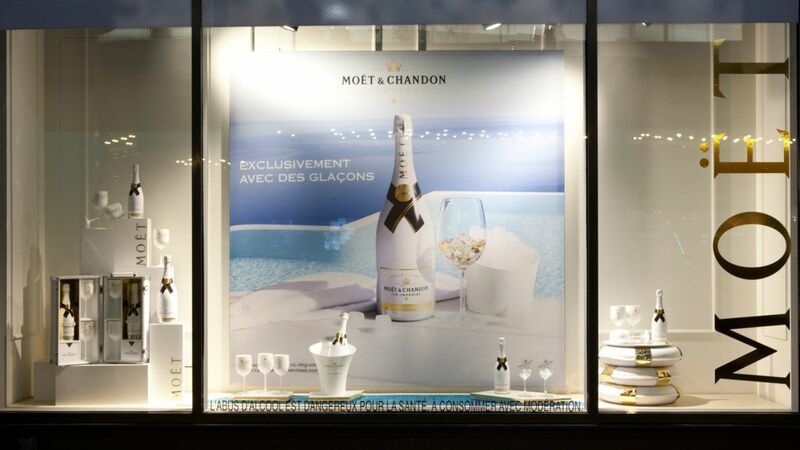 Moët & Chandon wanted a material to enhance their summer champagne “Ice Imperial”. 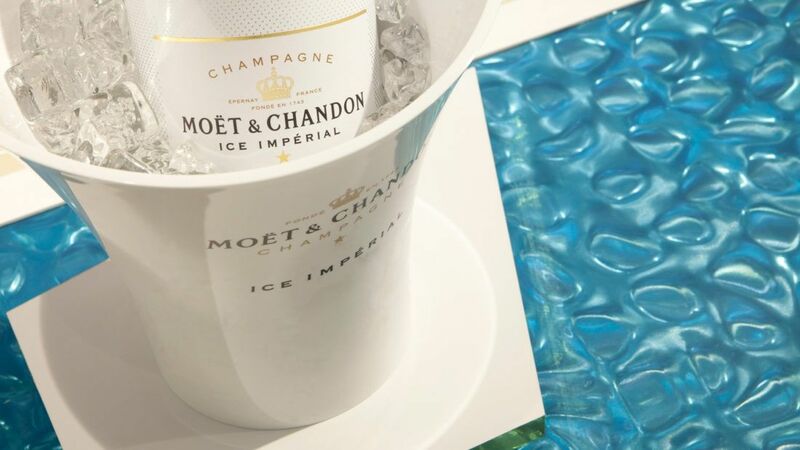 Ice Imperial is a Champagne that can be presented with ice cubes and that’s just perfect for refreshing and drinking close to the swimming pool. 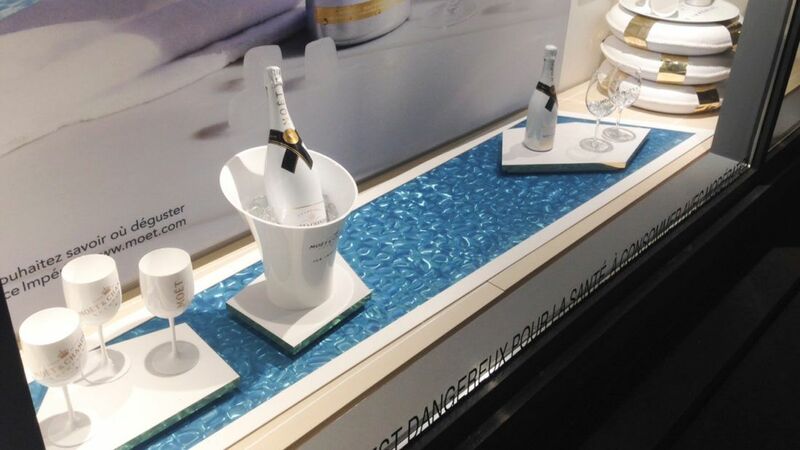 PC Aqua Swimming Pool was our best and naturel material to illustrate the fresh spirit of the brand.